Store refrigerated for up to 6 months. We do not recommend freezing. These Cashews Pieces are the freshest, the tastiest and the best you can find. They are oil roasted and are available salted and unsalted. 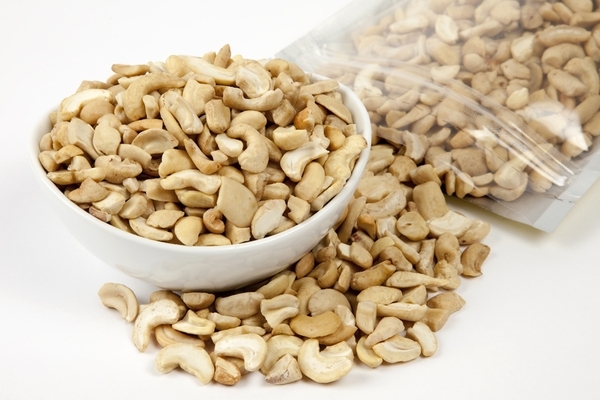 Roasted Cashew Pieces - Net WT. 1 Pound Bag. Salted: Cashews, Peanut Oil and Salt. Love these cashews....be great for the holidays. These are passable cashews. The size ranged from nearly perfect halves, to about 3 mm pieces, with the average being about 1/3 of the size of the halves. The flavor was ok, but I suspect these will not stay fresh for long. They are ok for now. Based on my other experiences with this company, I probably will not order these from here again.